Every Friday, an author, an illustrator, or a children's literature enthusiast drops by to finish my sentences. This week's special guest is John David Anderson, the author of Ms. Bixby's Last Day (one of the best books of the year). We chatted about friends, cheesecake, school libraries, and pizza. I wrote the words in purple, and he wrote the words in black. Thank you, John David Anderson! Topher, Brand, and Steve are your best friends. Or are versions of your best friends. You know someone is your best friend when you want to tackle them one minute and hug them the next, when they annoy you and impress you and console you and make you laugh at the most inappropriate times. Ms. Bixby’s Last Day takes place mostly over the course of one day, so I had to cram a lot of adventure into a small amount of time. Which explains why there are so many flashbacks, because these three kids have an opinion on just about everything. Alexander’s is a creepy and awesome bookstore with a potentially cannibalistic owner and a shark in its toilet. Enough said. If I visited Michelle’s Bakery I would very quickly slip into a sugar coma and never come out. Also, I would be poor, because cheesecake sure ain’t cheap. 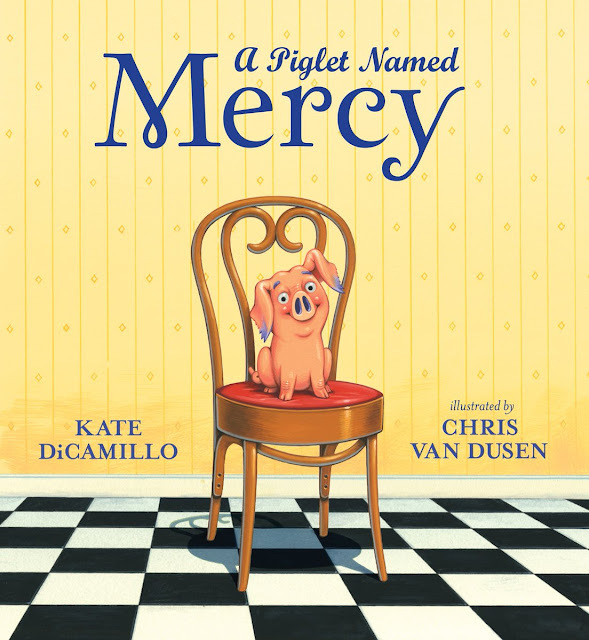 School libraries need really big, comfy chairs that kids can sink into with their favorite books and just get swallowed up by (the books and the chairs). They also need thousands of titles so everybody can find something that speaks directly to them. Mr. Schu, you should have asked me what I had for breakfast. Cold leftover pepperoni pizza and a banana with a Diet Coke to wash it all down. Kinda makes you wonder what I’m going to have for lunch! 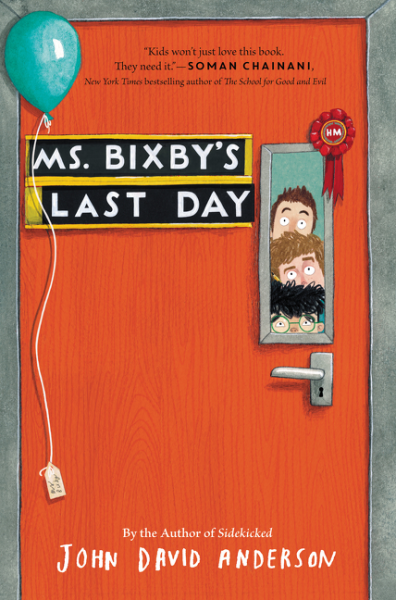 Borrow Ms. Bixby's Last Day from your school or public library. Whenever possible, please support independent bookshops.